Read all of the instructions before using these things. 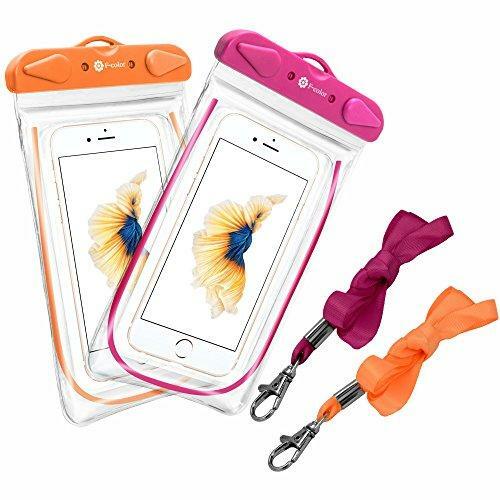 Material & Design: Premium Durable PC mount seal the waterproof case safely, Transparent PVC screen and camera window allows taking photos conveniently, Length X Width: 80mm X 155mm, Compatible for up to 5.7 inch smart phones confidently! A circle with air around the clear window, decorated by a luminous ornament. 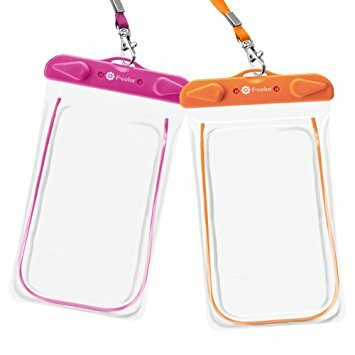 This design language is to let the waterproof phone case float on water (if drop)and be seen at night conveniently.